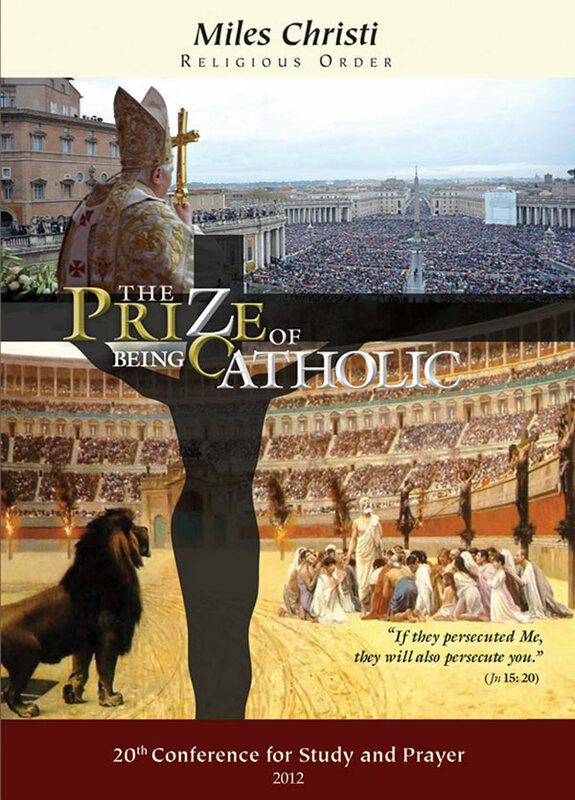 Explores the infallibility of the Catholic Church through Tradition and Holy Scripture, as well as the four marks of the true Church, the divinity and humanity of Christ, the Sacrifice of the Mass and the Real Presence, and the dignity of the Priesthood. 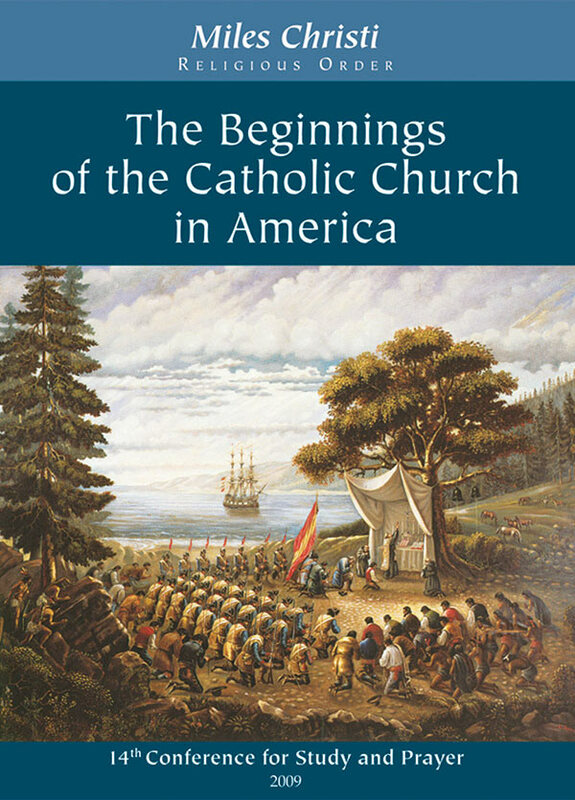 Addresses the nature and history of Liberalism, Modernism, and Progressivism, focusing on the Modernist notion of faith, revelation, and dogma; as well as measures against Modernism with Pope Pius XII and his encyclical Humani Generis, a condemnation of “New Theology” and the defense of Thomism. This conference will help you understand the unbreakable relationship between Sacred Tradition and Holy Scripture, while guiding you through key concepts of interpretation of Holy Scripture. This includes an examination of typology and the symbols of the Church in Old Testament prophesies. Explains the phenomenon of contemporary “lite” culture and its impact on modern man. It discusses its causes and describes some cultural manifestations of the loss of transcendence. It also expounds on the importance of sacred art and its value. 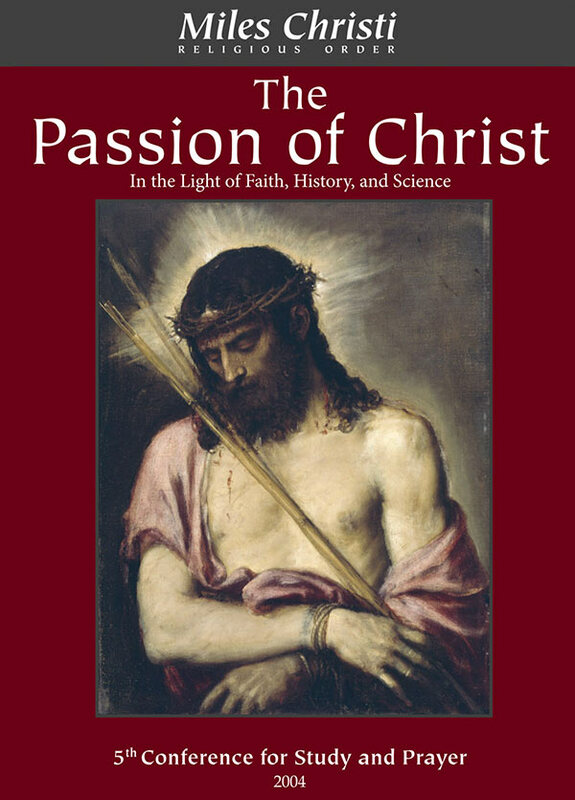 Examines the theological meaning of Christ’s suffering, the necessity of the Passion, the historical validity of the Gospel accounts, Christ’s interior suffering, and the medical aspects. 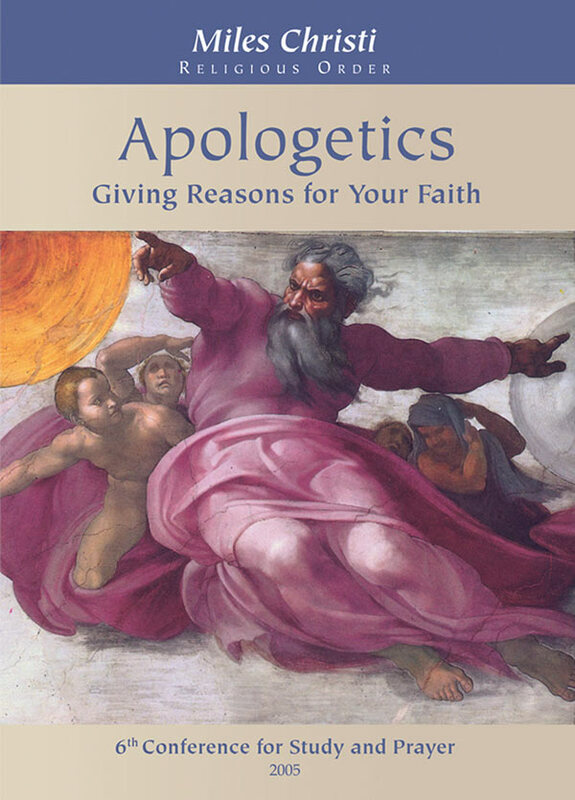 Examines what “apologetics” is and why your Faith needs to be defended. 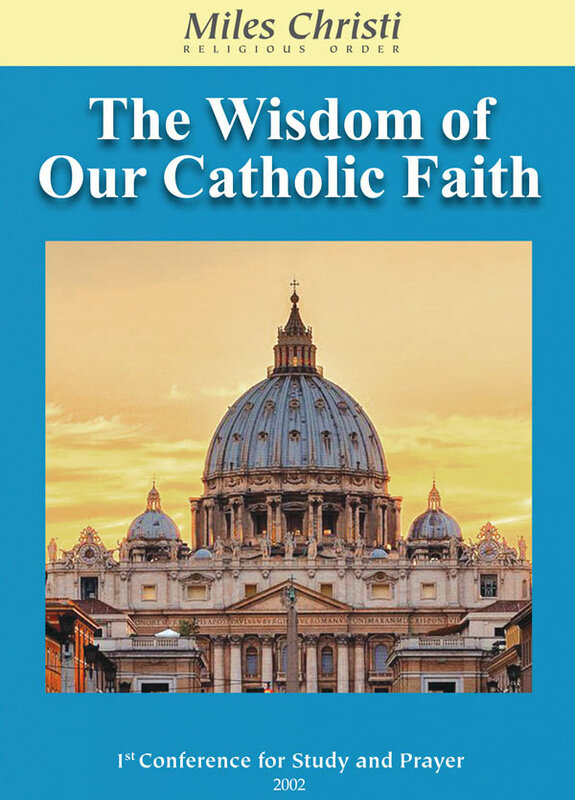 It will explore the objective truth about religion, proof of the existence and nature of God, the necessity for religion, and other elements of Catholicism to better equip you in defending the Faith. 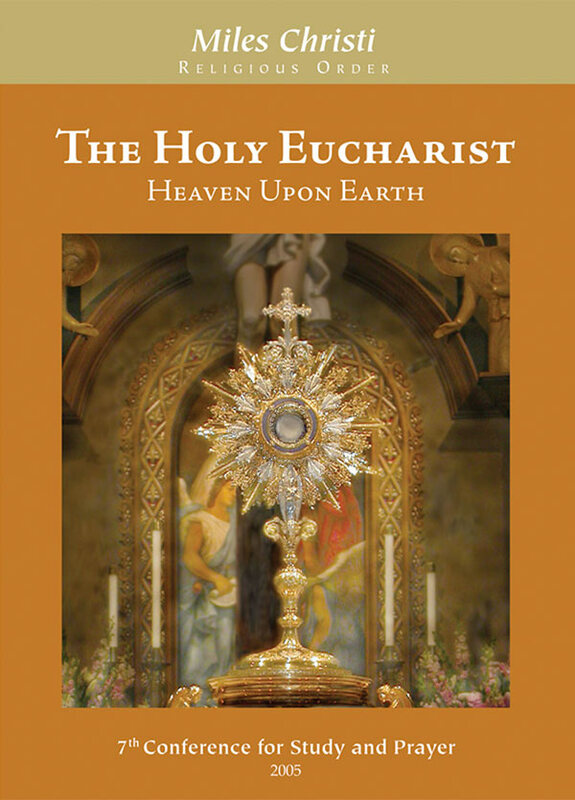 Explains what the Eucharist is, reasons for its institution by Christ, the nature of this Sacrifice, the Priesthood, and the Liturgy. The conference also explores certain historical Eucharistic miracles and its power to enlighten our minds and transform our hearts. 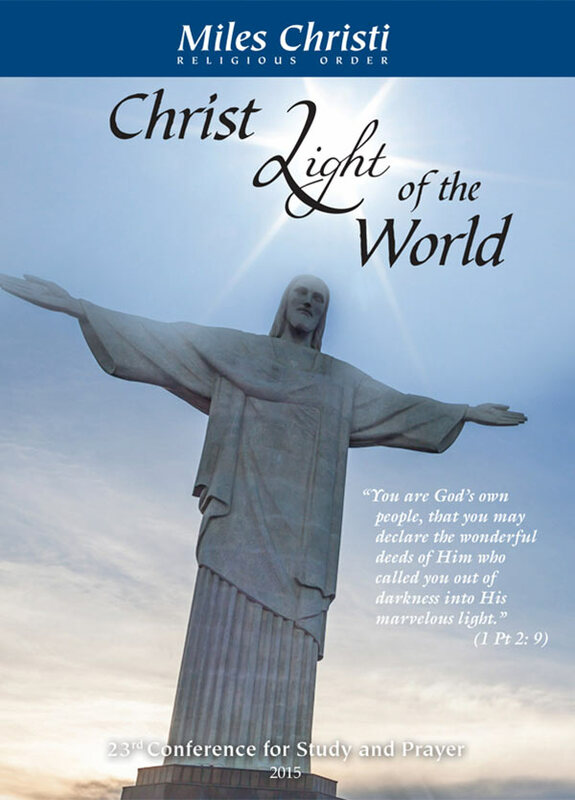 Addresses the triumphs and struggles of Christianity throughout history. 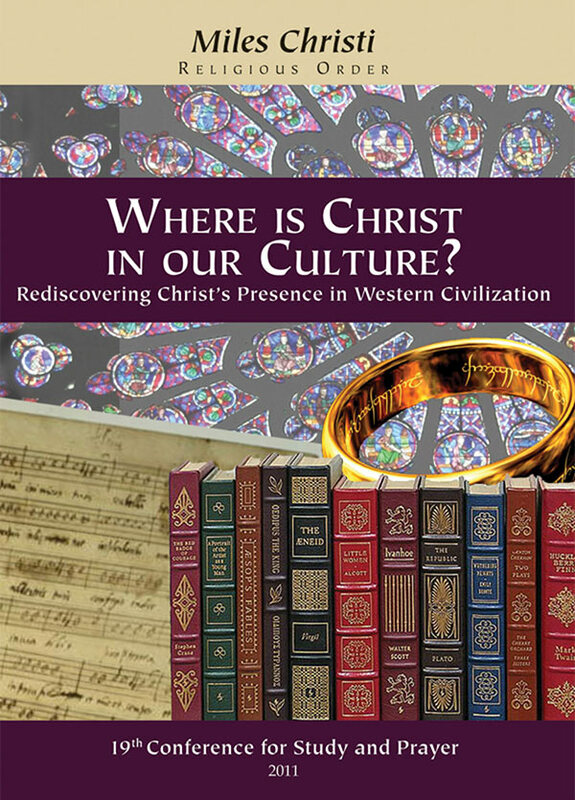 Topics include the Christ-centered view of history, the growing and indestructible Church, the Middle Ages, and the great intellectual and artistic achievements of Christendom. 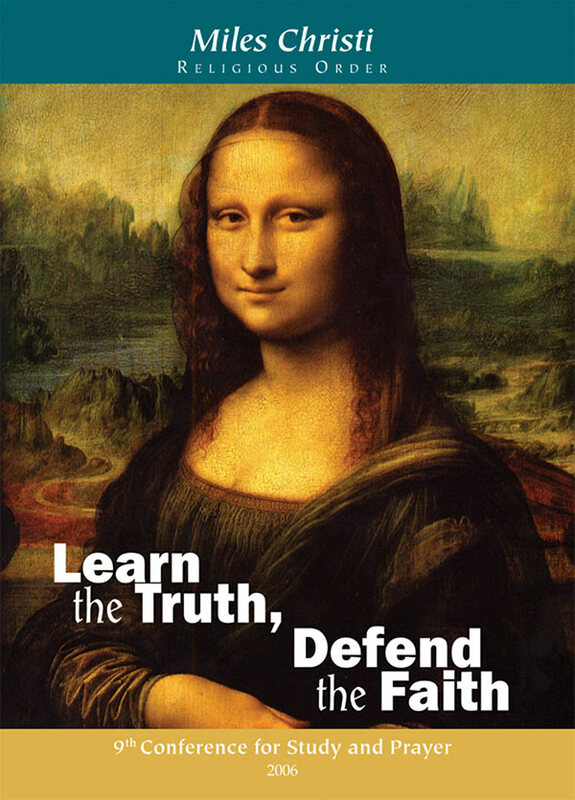 This conference is valuable for forming a solid Catholic response to Dan Brown’s The Da Vinci Code. It exposes the many damaging falsehoods and misconceptions in the story, as well as its relation to Gnosticism, neo-paganism, Wicca, and Radical Feminism. This conference is 3 hrs. approx. The suggested donation for a CD set is $15. 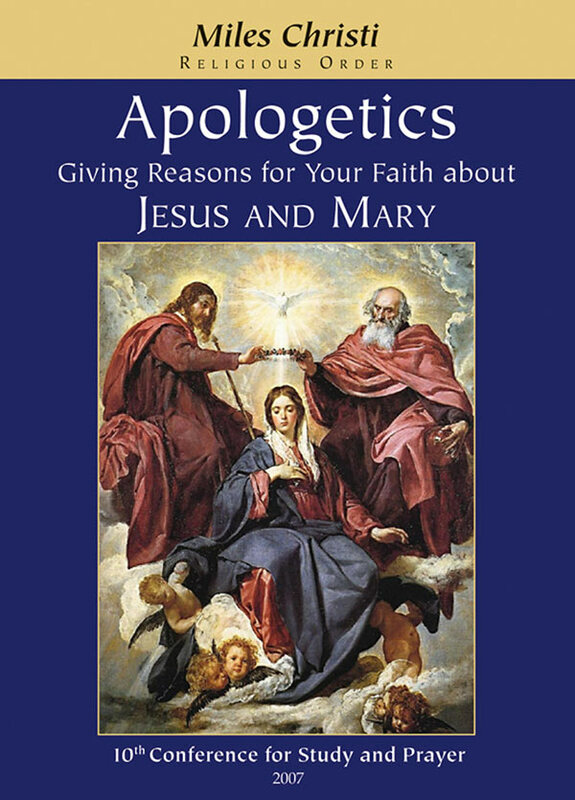 Encompasses a broad array of topics on Jesus and His Mother Mary, including the true humanity and divinity of Christ, the credibility of the Resurrection, the dogmatic truths about Mary as Mother of God, her Immaculate Conception, her perpetual virginity, and the historical heresies against these truths. The Dictatorship of Relativism, a term coined by Pope Benedict XVI, refers to the growth of Relativism and modern loss of confidence in the Church and reason itself. 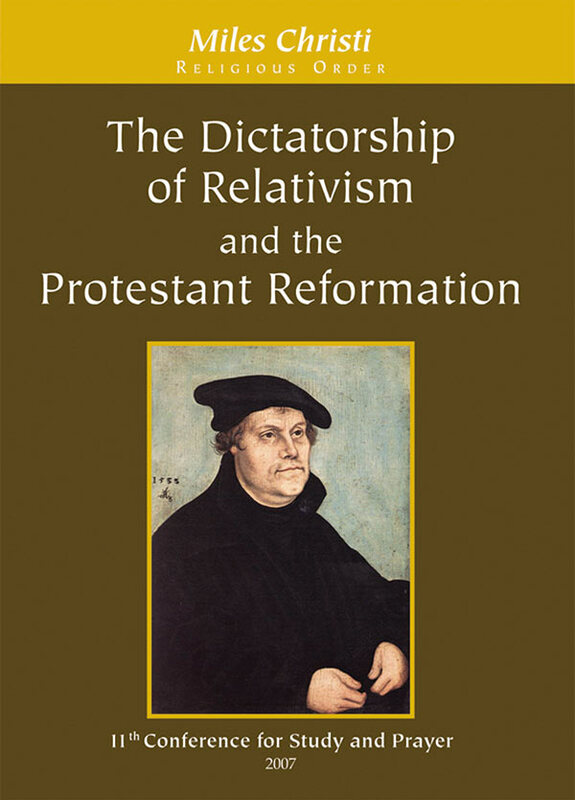 The conference also examines: Martin Luther’s role in the Reformation, great saints of the Counter-Reformation, and the necessity of the Catholic Church for salvation. 12. 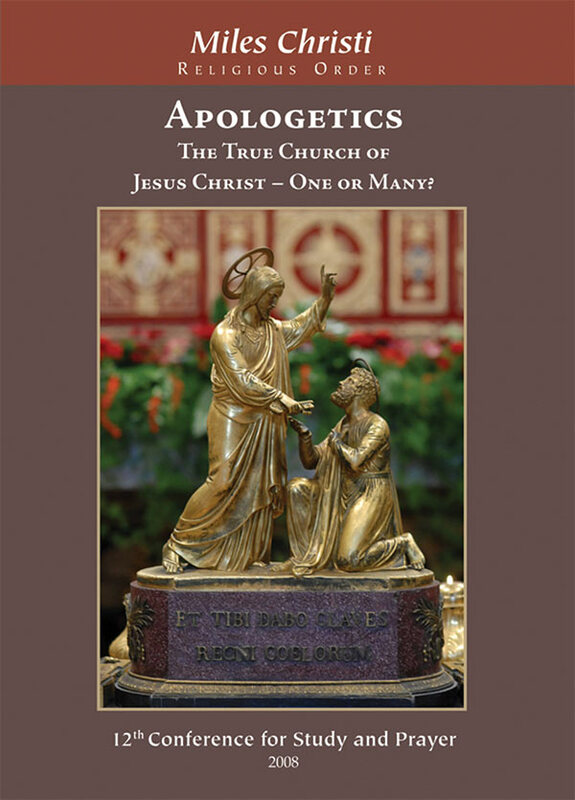 Apologetics: The True Church of Jesus Christ—One or Many? This conference answers common questions about the nature of the Church and her members: why Christ founded the Church, how it is distinguished from other churches, the Protestant understanding of the Church, the role of Peter’s successor, and the marks of the Church. 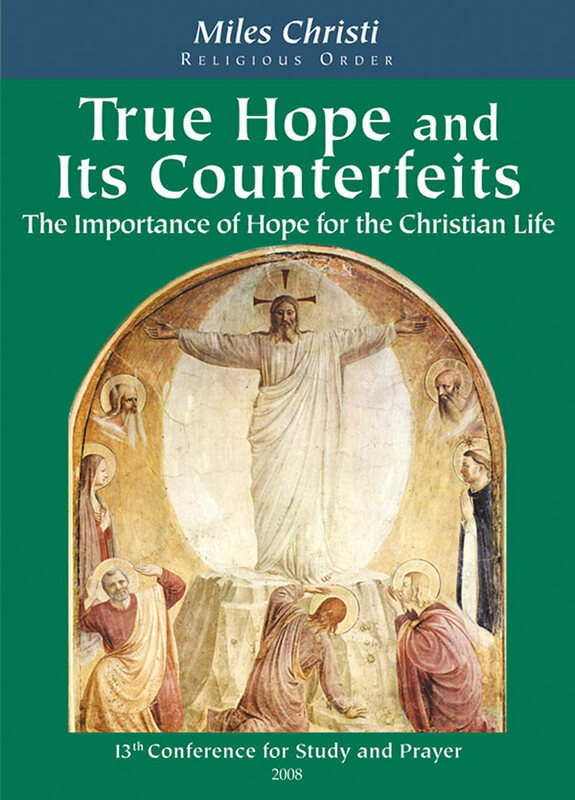 Explores the nature of Christian hope and its contraries: despair and presumption. Topics also include: eternal life, hope in the Resurrection, and salvation of those outside the visible Church. The conference also covers Marxism, Islam, Atheism, and the paralysis of hope in our secular society. 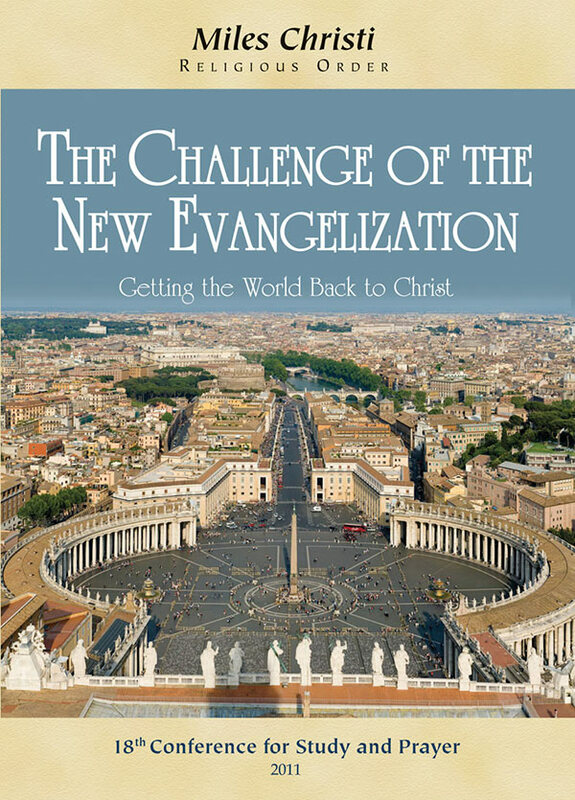 This conference discusses the evangelization of the New World, Our Lady of Guadalupe, St. Junipero Serra and Western evangelization, the North American Martyrs, Fr. De Smet and the Rocky Mountains Indians, and modern challenges of the Faith in America. 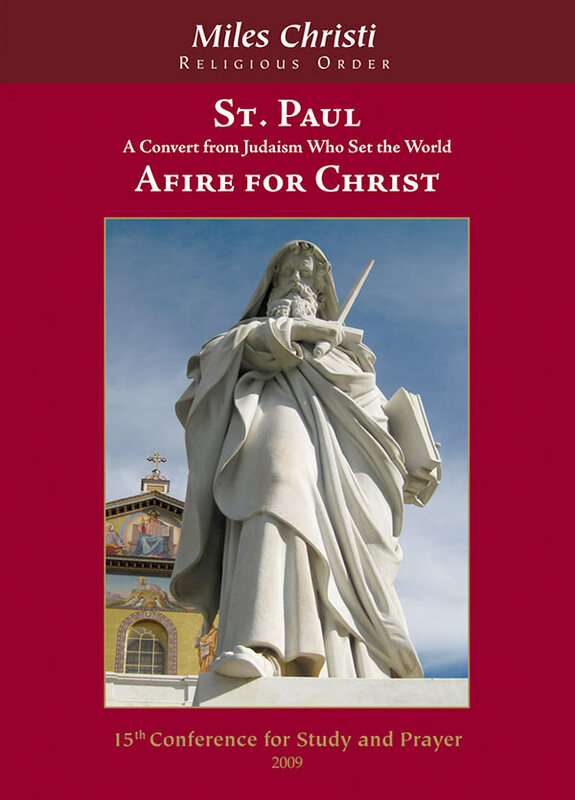 Presents the life and conversion of St. Paul, his teachings on Christ, justification, moral principles, the Sacraments, and the Second coming of Christ. It also examines the Resurrection of Christ and our own, as a central element of our Faith. 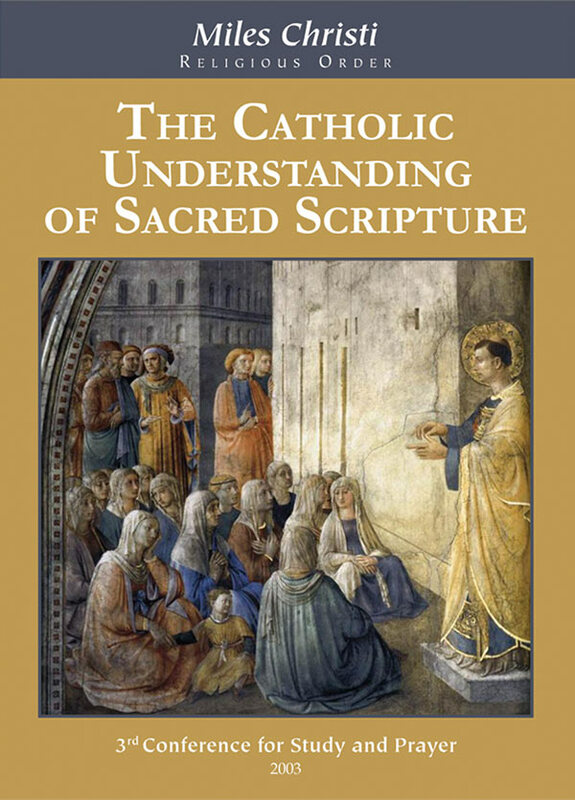 Addresses the Catholic teaching on Christ as the Eternal High Priest, and the Sacrament of Holy Orders as a participation in Christ’s Priesthood. 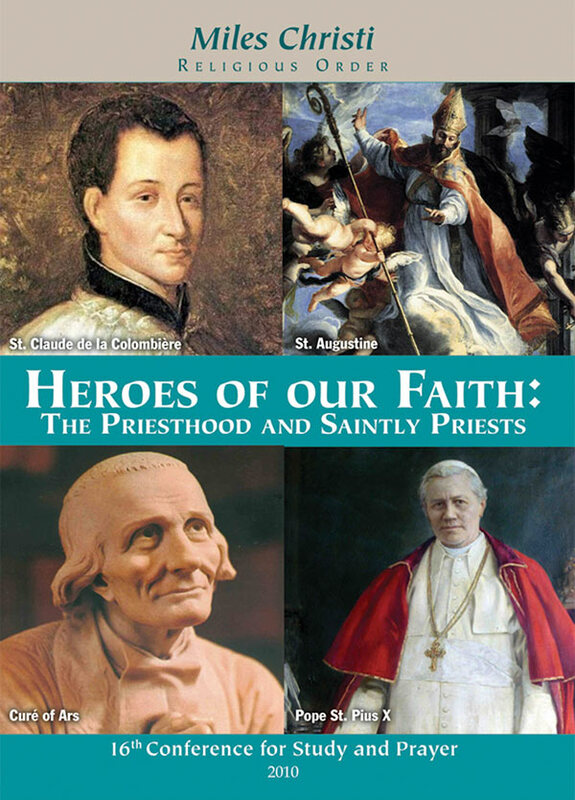 It explains why the priesthood is reserved for men, the priestly vocation, and the lives of some exemplary priests: St. Augustine, the Curé of Ars, St. Pius X, and St. Claude de la Colombière. “Any stick is good enough to beat Christianity with” –G.K. Chesterton. 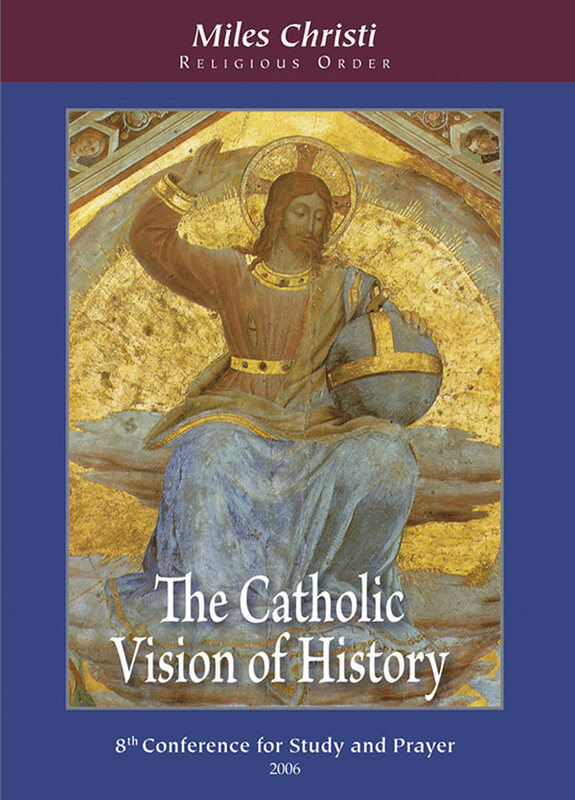 This conference discusses the anti-Catholic agenda of the past and present including the following topics: Galileo and the Church’s relationship with science, the Crusades, the Inquisition, the myth of the “Dark Ages,” Pius XII’s defense of the Jews in the Nazi regime, and the French Revolution. 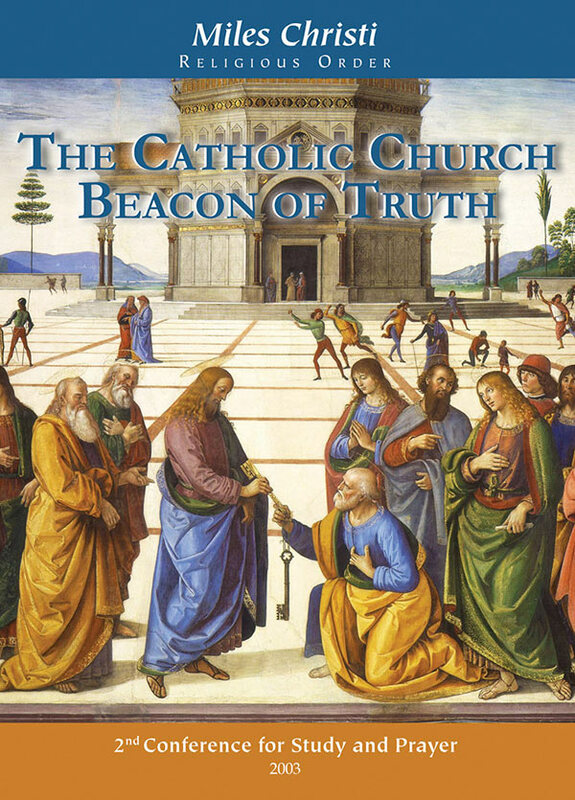 Addresses the challenges of modern atheism, the motives of credibility of the Catholic Faith, how truth is the foundation of evangelization, Bl. Cardinal John Newman as an apostle of truth, the Culture of Life vs. the Culture of Death, and the family as the forge of saints. Explains the Church’s mission to imbue culture with the truths of the Gospel, with special attention to literature, art, and music. Specific topics include: Christianity in J.R.R. Tolkien’s The Lord of the Rings, the images of Christ in the history of art, and the influence of music. 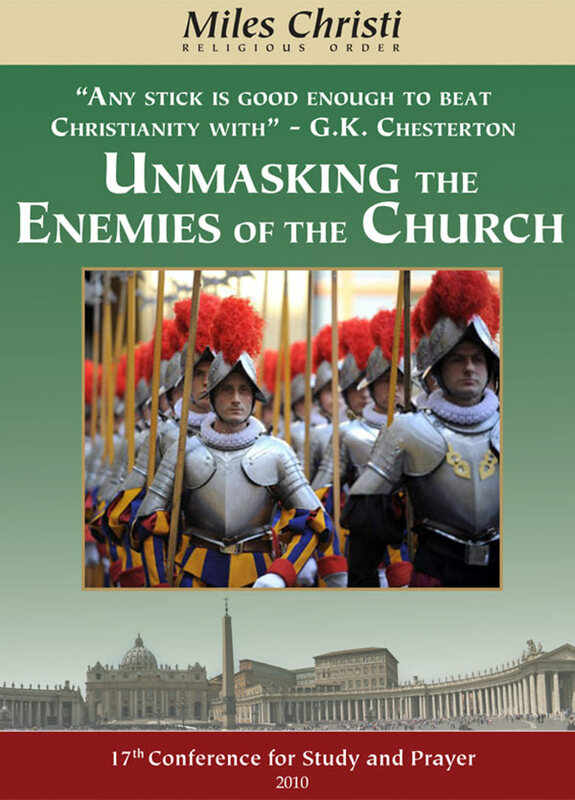 Presents conversion stories, personal testimonies of persecution and imprisonment for Christ, and informative talks regarding modern day attacks on the Catholic Church. 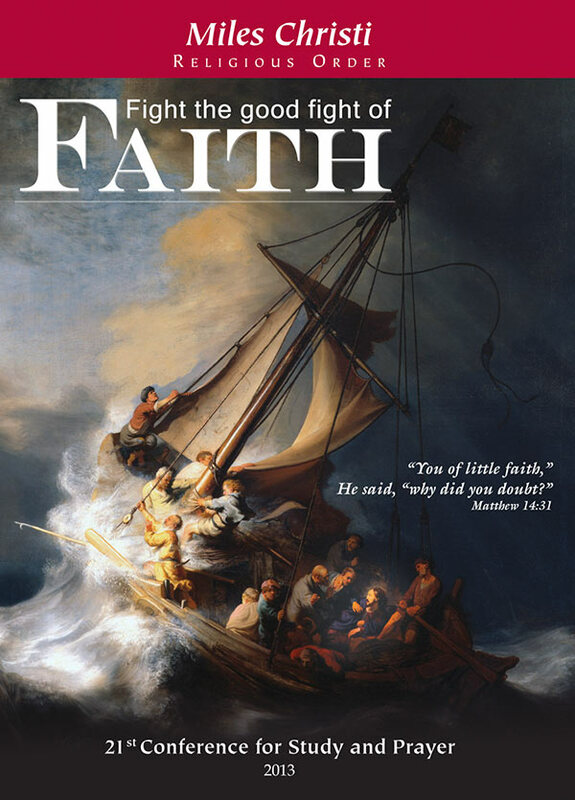 This conference will encourage you to keep fighting the good fight for our Lord! This conference offers a wealth of insight to dispel the stormy clouds of doubt and confusion with the light of eternal Truth. Topics include thoughtful responses to common questions related to faith and science, the New Age Movement, the Mass, the Eucharist and more. 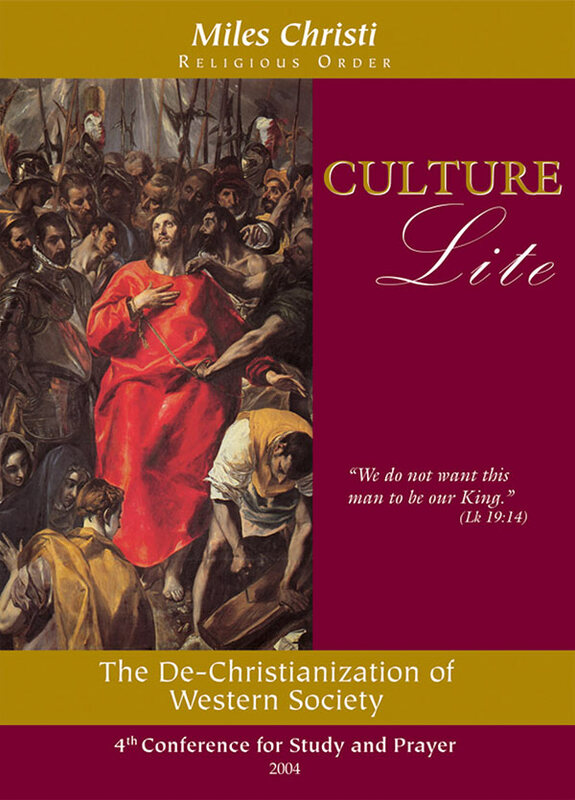 It looks into the cultural crises of modern times and the imperative mission of the Church to orient society toward Jesus Christ. 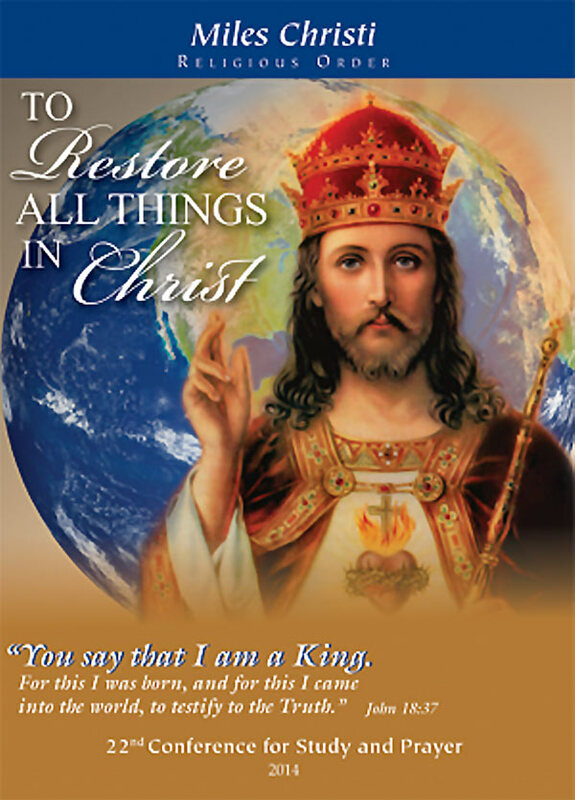 Explores the Catholic ideal that Christ’s kingship is not only in the hearts of individuals, but also in society. This conference discovers the means to be better apostles so that we may valiantly defend our Lord’s rights, win over hearts to the Truth, and hasten the return of our society to our beloved Redeemer. As our world turns away from God, we are increasingly incapable of distinguishing between good and evil, between darkness and light. Heroic Catholics are needed both within the family and consecrated life, who can properly discern the Truth and illuminate the world with the light of Christ. This conference welcomed an exorcist to tell his personal encounters with demons. 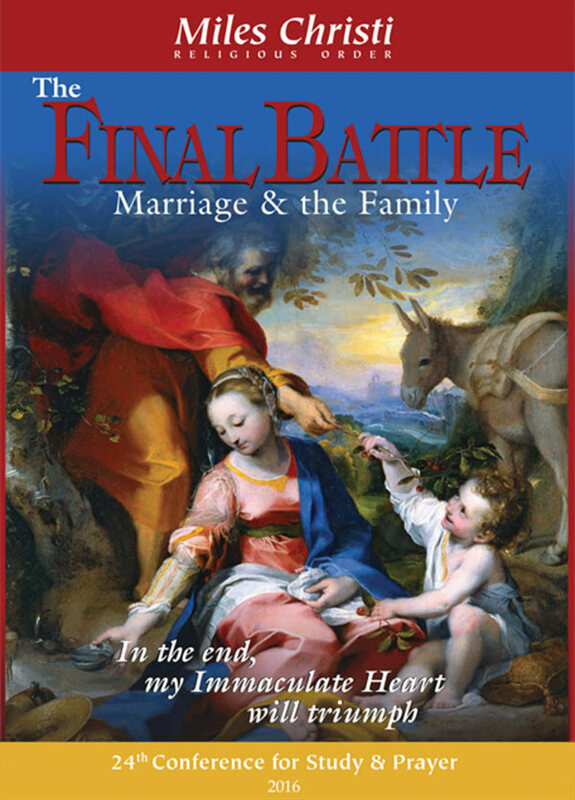 The defense of the family, Consecrated Life, and Heaven are also addressed. Marriage and family life as intended by God are constantly being attacked by the “culture of death,” which is leading our whole society ever closer to total ruin. We need to return to solid Catholic values and learn to defend the truth if we are to survive the onslaught of this post-Christian culture. 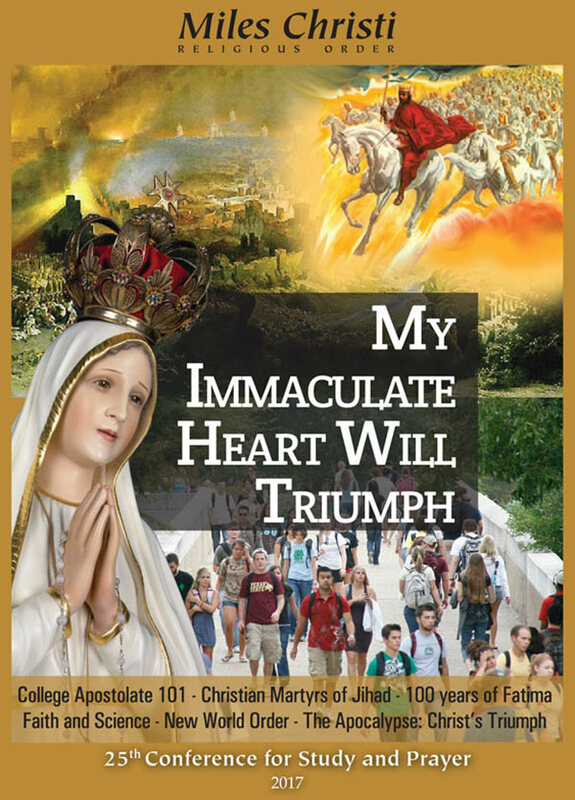 Presented in the year of the 100th anniversary of the apparitions of Our Lady of Fatima, this conference explores the results of the apparitions and various aspects of our world today. These topics include: the Christian martyrs in the Muslim world, life in a post-Christian society, the compatibility of faith and science, evangelization on college campuses, and Christ’s final triumph. 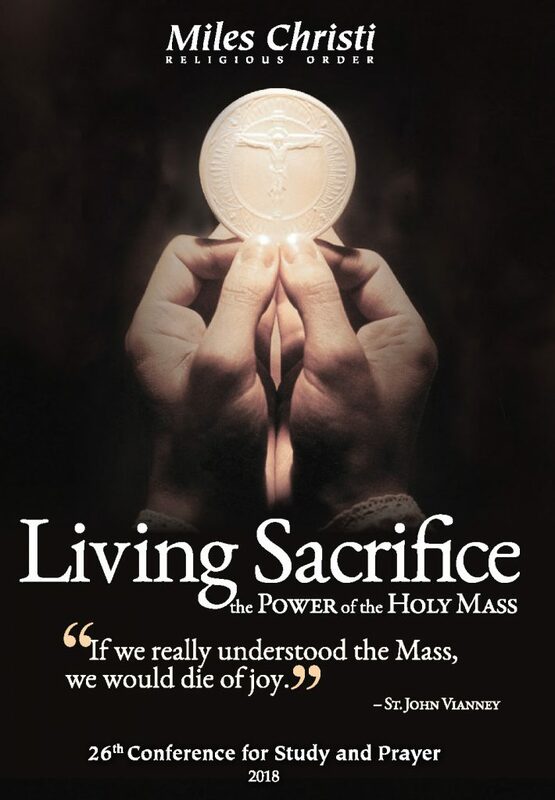 Join us as we dive deeper into the mystery of the Holy Sacrifice of the Mass. We will explore the sublime Sacrament in which Our Lord gave Himself to us at the cost of His life.